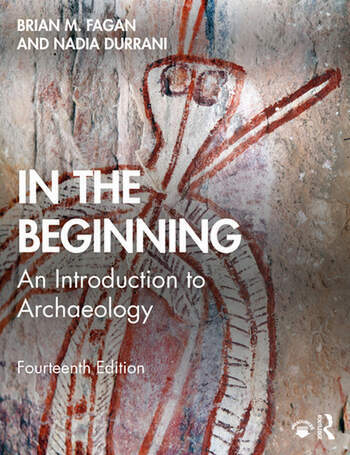 In the Beginning describes the basic methods and theoretical approaches of archaeology. This is a book about fundamental principles written in a clear, flowing style, with minimal use of technical jargon, which approaches archaeology from a global perspective. Starting with a broad-based introduction to the field, this book surveys the highlights of archaeology’s colorful history, then covers the basics of preservation, dating the past, and the context of archaeological finds. Descriptions of field survey, including the latest remote sensing methods, excavation, and artifact analysis lead into the study of ancient environments, landscapes and settlement patterns, and the people of the past. Two chapters cover cultural resource management, public archaeology, and the important role of archaeology in contemporary society. There is also an essay on archaeology as a potential career. In the Beginning takes the reader on an evenly balanced journey though today’s archaeology. This well-illustrated account, with its numerous boxes and sidebars, is laced with interesting, and sometimes entertaining examples of archaeological research from all parts of the world. This classic textbook of archaeological method and theory has been in print for nearly fifty years and is used in many countries around the world. It is aimed at introductory students in archaeology and anthropology taking survey courses on archaeology, as well as more advanced readers. 20 So You Want to Become an Archaeologist? Brian Fagan is one of the world’s leading writers about archaeology and an internationally recognized authority on world prehistory. He studied archaeology and anthropology at Pembroke College, Cambridge University, and then spent seven years in sub-Saharan Africa. Now Distinguished Professor Emeritus, from 1967 to 2013 he was Professor of Anthropology at the University of California, Santa Barbara. Brian has written seven best-selling textbooks and numerous general books on archaeology, ancient climate change, and other topics. Nadia Durrani has contributed to a wide range of archaeological publications and is the former editor of Britain’s two bestselling archaeological magazines, Current Archaeology and Current World Archaeology. Over the years, she has authored and edited countless articles and books, including co-authoring several textbooks with Brian. Her background is in Arabian archaeology and following a degree in archaeology and anthropology from Cambridge University, she took a PhD in South West Arabian archaeology from University College, London. Nadia remains actively involved in Arabian studies and is on the board of the British foundation for the Study of Arabia. She is also a founding member of the Great War Archaeology Group and a Fellow of the Society of Antiquaries.